In our Photoshop Elements for Digital Scrapbookers Primer course, I showed you how to bypass the Welcome Screen and always go directly to the Photo Editor on startup. If you took the course, you know how to use the settings icon on the Welcome Screen in PSE 2018 and prior versions to always launch Photo Editor on start as shown below. If you haven’t taken the PSE Primer course you can get it here. Photoshop Elements 2019 ditched the Welcome Screen for the Home screen. 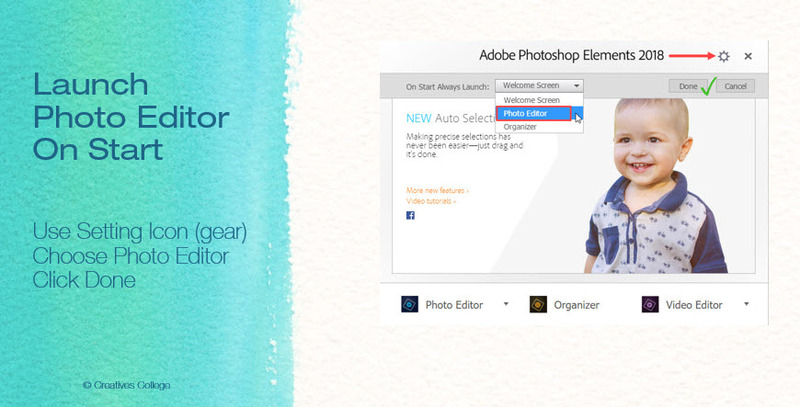 In Photoshop Elements 2019, the Home Screen replaced the Welcome Screen and they ditched the settings icon gear. The image below is an example of what the PSE 2019 Home Screen looks like. As you can see there is no settings icon. So now what you ask? No worries, you can still bypass Home Screen but it’ll take a little more effort. This works on previous versions as well it was just easier using the settings gear. I’m using Windows 10. If you’re using a different version or operating system you may need to use different steps. We’ll use Windows File Explorer to set up PSE to launch Photo Editor on start. This requires locating the program file on your computer and putting a shortcut on your desktop. Here is what that might look like for you. 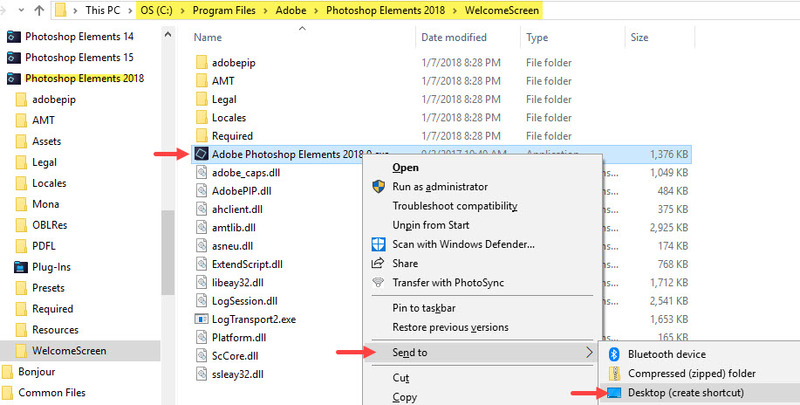 To find the Photoshop Elements program file on your computer look in the drive where the program is saved. 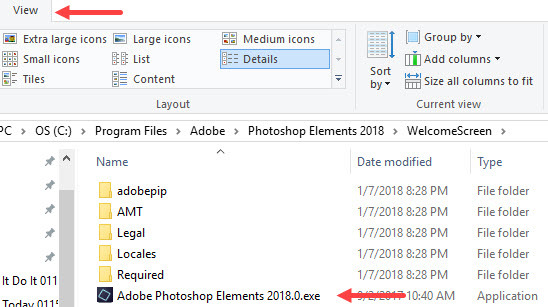 Find Program Files> Adobe> Photoshop Elements 2019 (or your version number). Once you’ve located “Adobe Photoshop Elements 2019.exe” do the following: Select the exe file> Right-click> Send to> Desktop. This will create a shortcut on your desktop. 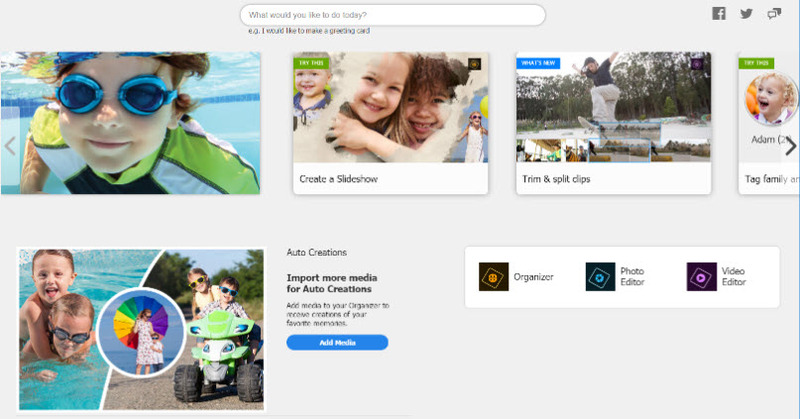 TIP #1: If a shortcut was created on your desktop when you originally installed Photoshop Elements you may want to rename it Home Screen or name the new shortcut Photo Editor. Whatever makes the most sense to you. TIP #2: In the File Explorer example above my view is set for Details. You may have a slightly different setup. For instance, you may use icons instead of details so it looks like the example below. In this case, you’ll right-click on the Adobe Photoshop Elements 2019 icon then Send to> Desktop. Or you can change the View from Icons to Details as shown below. You’ll find View in the Menu bar at the top of File Explorer. Tip #3: If all else fails you can do a search in the Adobe file as shown in the next example.